Interested in submitting your work for consideration for a feature on the site? Read on…. This form is to submit your work for a feature on the website. If you would like to submit your work to an open call or another opportunity, please visit the opportunities page. Fill out the form below. 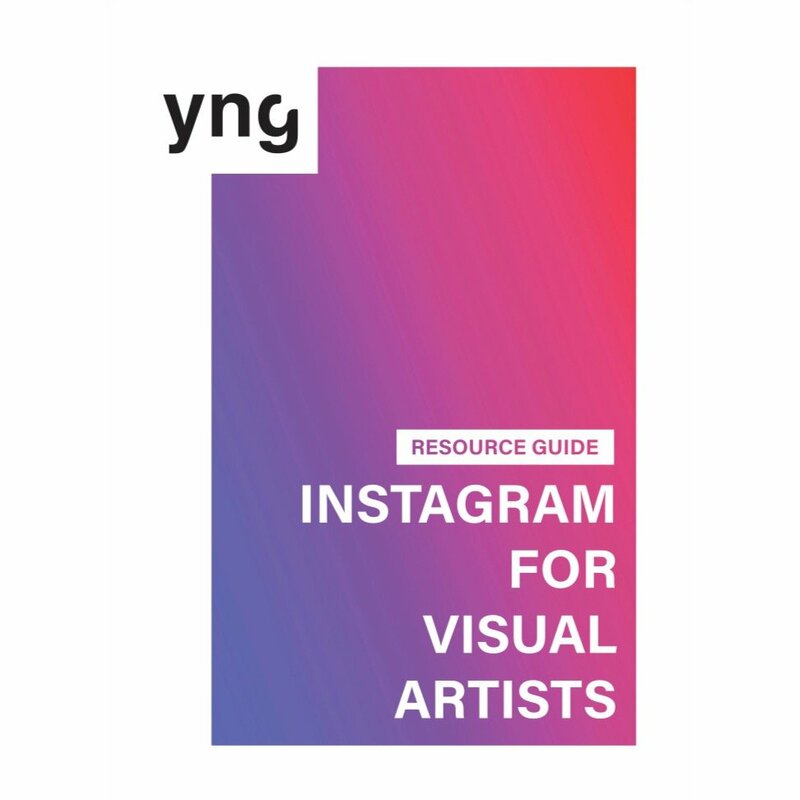 If you don’t have a website with savable images, please email kate@yngspc.com with 8-12 images of your work. (If selected, I’ll pick and choose between them for a post.) I may request a Dropbox or WeTransfer link if necessary, and images should be of a resolution high enough to fit across about 1000 pixels without blurring. Please fill out as many questions below as you can or want to. It’s casual! Be candid! If your work is selected for a post, depending on how many questions you choose to respond to, I may select from them or share all of them. Please be aware that these responses will be included verbatim, and will only be corrected for grammar and/or spelling. What happens if your work is selected? I’ll send you an email as soon as I can, just to let you know. Within a few weeks, I’ll share your work on the site in a post that will consist of 6-10 images and a blurb about you, with links to find more. 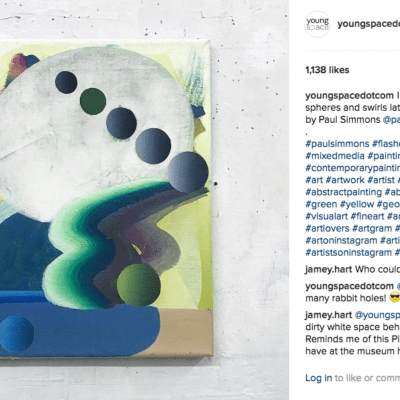 A selection of images of your work will also be shared on the Young Space Instagram account. It’s a one-woman show here at Young Space, and while I look at every submission, due to the volume I receive, I am unable to respond to everyone (although I would love to!). Ultimately, the decision is based on a combination of artistic merit, originality, and how the work fits into the context of this site. This is a diverse and inclusive platform; all are encouraged to contribute regardless of the type of work you make, or your age, race, gender, religion, nationality, language, etc. Now, show me the goods!! Ideas: Where are you from/currently based? Are you in university/art school currently? What has your education been like, whether formally or informally? Include any fun facts about yourself or your practice. PLEASE DO NOT copy and paste your artist statement/bio here! In the city, the building, the neighborhood, etc. -- what makes it a great place to make your work? Is there a theme you are currently addressing? How has your practice changed in the last months/years? Do you do any research, or plan anything in advance? How long do pieces typically take to complete? How many do you work on at one time? What themes or ideas are you interested in? Is there any subject or theme you've been particularly interested in lately? What is the strangest thing you've ever had to do for art? Does it relate to your practice in any way? Do you purposely do something totally different? Do you think that separate work is essential to maintaining a healthy art practice? Is there any advice that you've received in the past that you're grateful you chose to ignore? 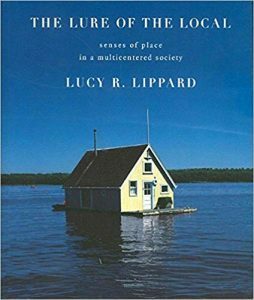 What does it mean to you to have a "community?" Does community, art-related or otherwise, influence your work? Do you find it necessary? What time of day do you work? What kind of music or podcasts do you listen to? How much time do you spend in your studio every day/week? How important is an MFA? If you haven't pursued one, would you? Are there benefits to NOT pursuing advanced art degrees? If you have not, is it because you prefer not to? Why? This can be broad or specific, and relate to creative or professional aspects of being an artist. Be candid! How would you define "success" in art? What is the most exciting thing you've done or accomplished so far, related to your work? This could include anything from an award you've won to a residency program, a new discovery or direction in your work, a person you met -- anything! Are you part of a collective, an artist-run space, an alternative educational initiative or anything similar? Add me to the mailing list for updates about future opportunities!